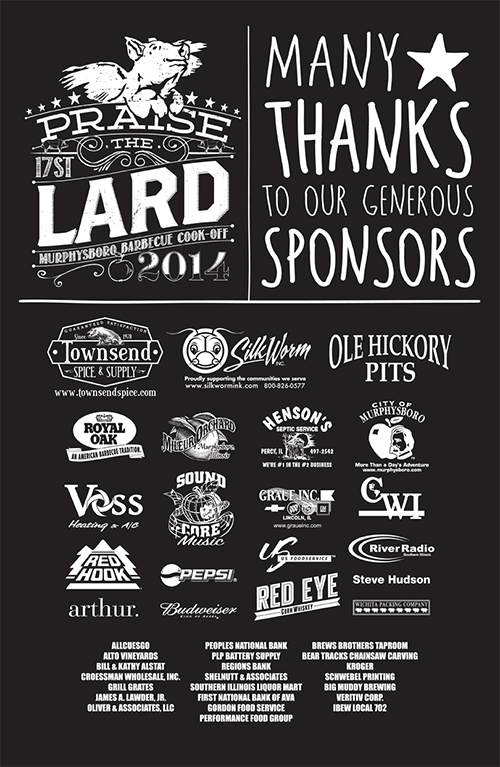 We were thrilled to host the World Food Championships Southern Illinois Showdown as part of our Praise the Lard cook-off festivities. 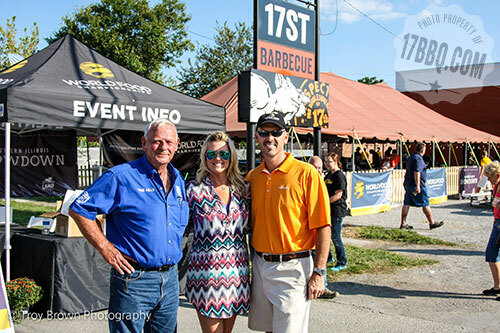 Here are WFC mastermind Mike McCloud and Kari Karch, Kenmore executive chef, along with Mike. The red-topped tent housed the Kenmore kitchen stadium: eight complete kitchen set-ups with everything from stoves to mixers. 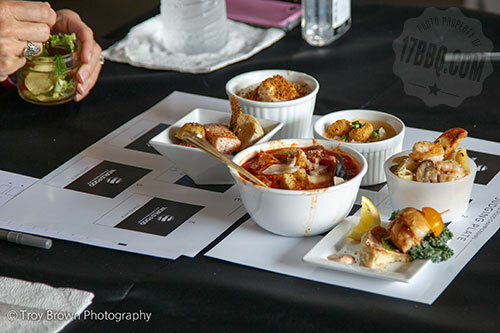 The two categories were Bacon and Seafood, sponsored by Alaska Seafood. 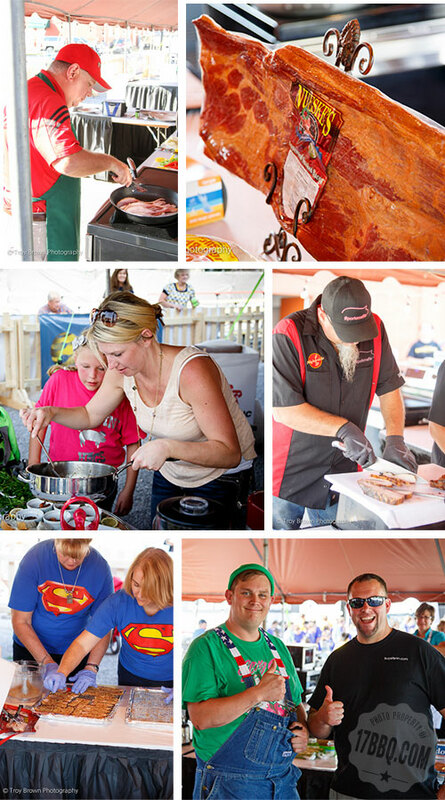 A combination of local cooks and barbecue teams comprised the field of competitors. Bacon entries headed for the turn-in table. The judges had the tough job of sampling all of these entries. 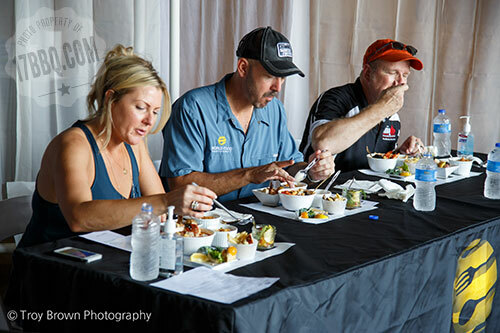 Judging tray filled with delicious seafood dishes. 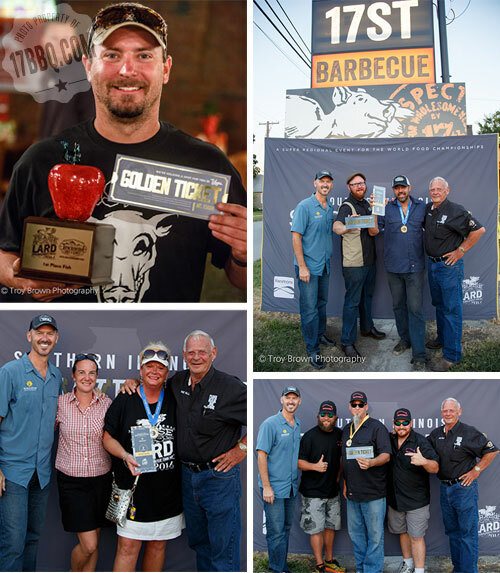 The top three winners in each category received a Golden Ticket to compete in the World Food Championships in Las Vegas in November, and the winner in each category also received $1,000. Congratulations to Tina Porritt, competing for Piggy Style, who won the Seafood category, and Sugarfire Smokehouse, winners of the bacon category. Many thanks to Becky Streuter, Gerald Strothmann, Phillip Heern, and Chris Pritchard, who handled the logistics for 17th Street, the City of Murphysboro, who helped us roll out the red carpet for this event, Mike Clutts, for electrifying the area, and to the people in our community who rallied support and who came out to cheer on the competitors.